After a successful launch at last year’s Painting & Decorating Show, Dunlop, specialist manufacturer of tile adhesives, grouts, finishing and ancillary products, is back this year with an exciting new addition to its Pro Décor range! 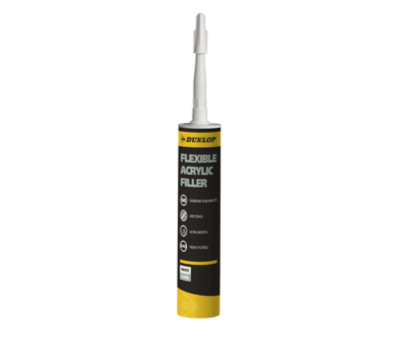 The Dunlop Flexible Acrylic Filler is a gunnable jointing filler for use in caulking applications such as skirting boards and door frames. 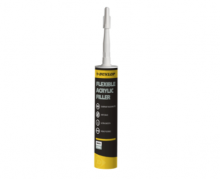 The flexible nature of the product removes the risk of cracking or debonding from the backgrounds. Unlike typical jointing products, the Dunlop Flexible Acrylic Filler can be overpainted with any oil or waterbased paints. The Dunlop team will be unveiling the Flexible Acrylic Filler and showcasing the Pro Décor range’s unique technology via live demonstrations at the Painting & Decorating Show.